SHARAN (Pajhwok Afghan News) — After days of heavy clashes, two districts of southeastern Paktika province were overrun by Taliban militants on Tuesday, an official said. 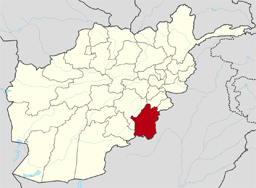 An Afghan National Army (ANA) official, who wished to go unnamed, told Gian district had been surrounded for the past few days. Following intense fighting, the insurgents managed to take complete control of the district, said the army official, who gave no information about casualties. Meanwhile, a source in the National Directorate of Security told Omna district had also fallen to the Taliban after a few of days heavy clashes. On the other hand, the Taliban claimed captured the two districts. The group’s spokesman Zabihullah Mujahid said the rebels had seized many security checkpoints and military bases.